You have located the page for Carrabba’s menu prices. Carrabba’s Italian Grill is an American restaurant chain serving hand-prepared, Italian-American dishes influenced by the Sicilian region of Italy. The menu includes new and classic pasta and pizza choices plus a variety of well-known meat & fish dishes consisting of chicken veal, pork, and lobster. As is common at the end of Italian dinners, there is always a great selection of mouth-watering desserts. Below are the latest Carrabba’s Italian Grill menu prices. We all have a little Italian in us. Show it by giving a Carrabba’s gift card. You know it will be well received. You can order traditional gift cards that will be sent via postal service or if you need a last minute gift, purchase a Carrabba’s e-gift card that will be delivered to the recipient’s email not long after you press SEND. Sometimes it’s your turn to host a dinner party or organize a corporate lunch. Let Carrabba’s take care of it while you get all the recognition. Carrabba’s makes it stress-free by including all the necessary accessories and you can pick it up or have it delivered. Nothing tastes better than homemade cooking. You can have homemade cooked meals anytime with Carrabba’s online ordering service. It’s simple. Call in your order or order online, select a time you plan to pick up the order, head over to Carrabba’s. Make sure you park in the Carside Carry-out parking spot and Carrabba’s will bring your order to your car. Subito! Presto! No one can take care of you like an Italian family. So join the Amici Club, a members-only club where you will receive insider information on new upcoming menu items, an invitation to exclusive events, and special offers. All delivered to your email inbox. Did we mention it is free to join? You thought your family was supportive. Wait till you start your career at Carrabba’s. Carrabba’s is an awesome place to work and meet great people. If you have a positive attitude and are not afraid to work hard, check out the Career page on their official website. Learn about current openings, compensation, and benefits package. And welcome to the family. The benefits of a Mediterranean diet are well documented. Now get the backup info. Carrabba’s is committed to providing guests with accurate and complete nutritional information on all their menu items. Check the official Carrabba’s website to learn more before you head out to dinner. It’s great that you have health goals. Carrabba’s wants to help you achieve them. Be sure to take a look at their Under 600 Calorie menu where you can choose from select favorites and stay within your dietary guidelines. Who said you can’t have pasta when choosing a gluten-free diet. Carrabba’s has a special gluten-free menu that offers guests pasta dishes made from gluten-free flour. There are also other entrees dishes, appetizers, meats, and salads to choose from. The restaurant was established by John Charles “Johnny” Carrabba, III and his uncle Damian Mandola in 1986, with the first location in Houston, Texas. With the popularity of the dishes, the duo was able to open a second location. In 1993, Carrabba’s become part of Bloomin’ Brands, a food hospitality company that owns several casual restaurant chains. Bloomin’ Brands is a publicly traded company with headquarters in Tampa, FL. There are more than 230 Carrabba’s locations throughout the United States. 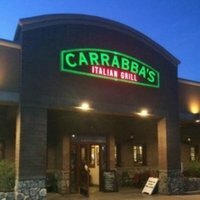 You can connect and follow Carrabba’s through various social media platforms or you can read their blog posts. For more information about Carrabba’s hours and the latest news, visit their official website.